You text your friends all the time, every day. Ever thought you could get paid for those texts? This review is for that app, named "Blabber- Make Money Messenger". It is a great messenger that pays you $15 for every 15,000 texts you send. Keep reading the review to know more. So, why is blabber messenger so generously giving away all that money? It can't be out of a good heart. It will display ads every now and then.The makers of Blabber earn money by showing ads to its users and share a part of the income. And that's how you get paid for messaging. 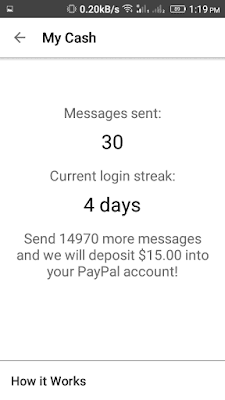 After you have sent 15,000 messages you can cash out $15 to your PayPal account. You can change your PayPal email anytime before cashing out. To prevent spam Blabber has restricted the number of texts you can send to a friend or group without him/ a member of group replying, you can't send more than 3 messages in a row. You can invite them via FB, What's app, BT, etc. If your friends already have blabber you can search them from your contacts. 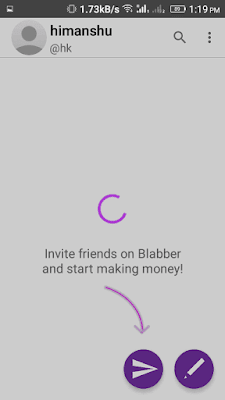 What should you do if none of your friend volunteers to install Blabber? Well, in that case, you can find blabbers on Blabbernow.com, add them and start chatting. Here you can comment your username or add those who have commented their username. You can cash out as soon as you have sent 15,000 messages. 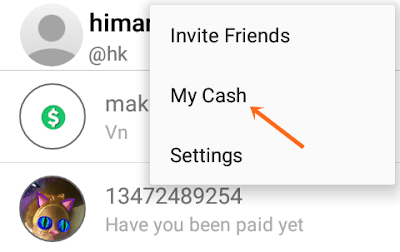 You can view the number you sent messages by tapping "My Cash" from the three-dot button on the top right corner. 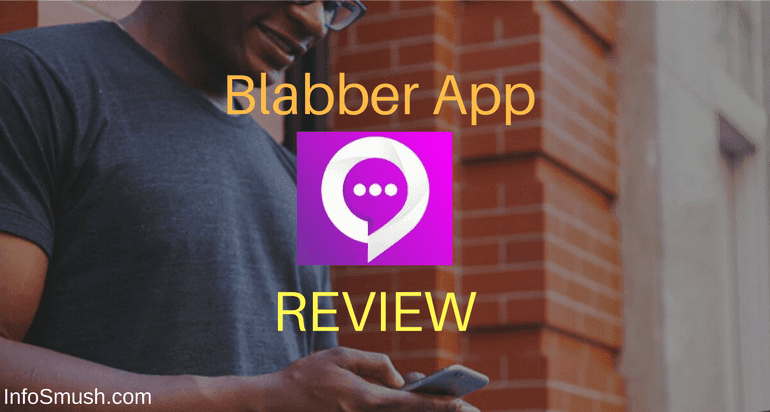 Please do share your opinions on Blabber app. If you think something is missing in this review, feel free to let me know.